Recruitment of clerical staff in associate banks of state bank of India? Exam result for Associate Bank exam? Re: When will the SBI associate bank PO exam result come? Sbi is the biggest Bank of India with 13000+ branches. There are currently 5 Associate Banks of SBI which will be merged in SBI in early future. 2. SBI Associate exam for All associate banks. >> Recently on 08.07.2011 an exam was conducted for 5000 posts for PO position for SBI associate banks. Sbi has not yet declared the result of that exam but resently they have declared the result of SBI PO exam of 1000 post on 18.11.2011 whose exam held on 24.06.2011. >> So this exam was held 14 days before the SBI associate exam and then we can expect the result to be declared very soon. when the result comes, it will be updated in official website of SBI. You may also check this site for your result as and when the results are announced. untill the result is being decleared. -State Bank of Patiala etc. The result of this examination has not been announced yet. But the resut of SBI PO Exam was announced. It will take 1-2 months more for the results to be announced since the numbere of candidates who have appeared for this exam are very high. As and when the result of this examination is announced, it will be updated in the official website of SBI. You can get result from that website. Be with patience and wait for the result to come and hope for the best. I suggest you to have good preparation for the Interview till the result come because once the result is announced, you are going to have less time to attend for Interview if you qualified in the written exam. Here is the official website of SBI. Visit this website regularly to know whether the result of this exam is announced or not. sbi associate bank po exam was conducted on 08.07.2011 for 5000 posts and this exam was for the selection of candidates for the post of PO position . and result for this exam is still not declared but soon it will be out for that you need to keep in touch with the official site of the SBI. results of the sbi associate po exam is not yet declared by the bank.better you frequently watch their official website for the result.www.sbi.co.in or you can register at bankexamsindia.com website to get a mail to your mailid whenever the results are out.you can also register your mobile so that you can get a sms whenever results are out.all the best. By what time we will receive the IBPS PO score cards? Will they send the details of score to mail id also? hi plz. tell anybody when will the result of sbi associate come? Graduate degree in any desire subject from a recognized university and final year of degree course can also apply for SBI examination. SBI Results of this examination was already out in the official website of State Bank of India and the results will be available employment news paper and other results website also.So,please visit the official website and then check out your results. Selection procedure of this examination :- written examination,Group discussion,personnel interview. When will the SBI associate bank PO exam held on 7/08/2011 will be declered? when will the result of associate bank of sbi published??????????????? State Bank of Patiala etc. There is not any specific date on which sbi declear the result. Plz tell me when sbi associate po result will declare ? >> Recently on 08.07.2011 an exam was conducted for 5000 posts for PO position for SBI associate banks. >>Sbi has not yet declared the result of that exam but resently they have declared the result of SBI PO exam of 1000 post on 18.11.2011 whose exam held on 24.06.2011.
when will the sbi associate po result come? SBI conducts Assosiate Bank po examination 08-7-2011 , All the best for Qualified candidate and for your Interview and Group Discussion . Results are released , Go through this below links and find your hall ticket num and go for an GD and Interview if you are qualified, Qualified candidates can get the all details abt interview for Email Ids. Result to tab ayega na jab vacancy hogi.. sab fund raise karne k tarike h.
when the result of sbi associate bank will be declared, they have declared the result of the exam held in october but this exam is held in august but still not declared. when will the sbi associate bank po exam result come ? Results of candidates who qualify in first phase will be published on the official website of SBI. SBI associate bank PO exam was being conducted on 07.08.2011. & result yet to be declared by them.May be they will announce the result this month. When will the result for SBI Associate bank PO be declared that was held on 07-08-2011? Hi friends, Sbi associate banks po exam results are declared. It is India's largest bank SBI 13000 + branches. 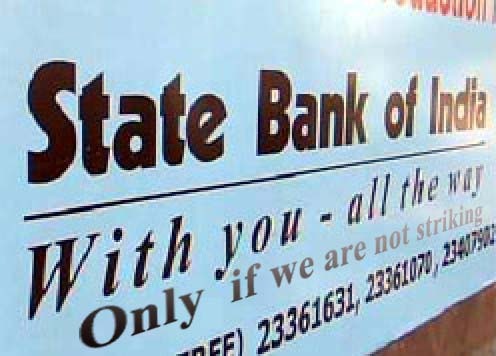 Early in the future must be merged in SBI Associate Banks are now 5 of the State. 2. All subsidiary banks, SBI Associate exam. Recently, an exam on 08.07.2011 of SBI associate banks, post office records by 5000. SBI exam result declared that there is still anyone's choice but resently they held on 18.11.2011 on 24.06.2011 SBI PO exam result 1000 announced later. The result is decleared untill. State Bank of Patiala, etc. Results of this experiment has not yet been announced. But resut of SBI PO exam is announced. This exam candidates who have announced that Results numbere them too much because it will take 1-2 months. When it was announced and the results of this experiment, the SBI official website will be updated. As a result you can get from the website. Be patient and wait for a positive result. The result was announced, by the time you entered the qualifying exam to attend the interview in less time because I was going to come and interview results suggest that a good preparation. SBI is the official website here. The selection of this site following the decision about whether or not declared.